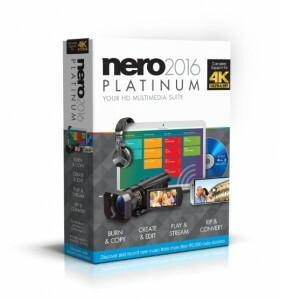 Amazon has a Nero 2016 Platinum CD/DVD Video Software Sale, $12.50 Free Shipping $49 or with prime. Expires Soon - Next lowest price is $42. - Select Amazon as Buying Choice from right hand menu. Nero 2016 Platinum is software for burning, editing, converting, managing and playing all digital media, including 4K videos, also on home-networked Wi-Fi players, thanks to the new Streaming Player App. Supports CD, DVD, Blu-rays and more.